A couple, who stole a diamond worth Dh300,000 from a shop in Dubai and fled the country, was arrested within 20 hours from an Indian airport. The Asian couple managed to smuggle the 3.27-carat diamond after the woman swallowed it. The suspects, who are in their 40s, were arrested as they were transiting to Hong Kong via Mumbai. The couple was brought back to the UAE in cooperation with the Interpol and Indian police. The police released footages from the surveillance cameras in the shop, which showed the couple entering the jewellery store in Deira’s Gold Souq. According to the police, the man distracted the staff by asking them about stones of certain specifications. The police video showed the woman going towards the entrance. She then opens the glass door of the display and steals the white-coloured diamond. She is seen hiding the diamond under her jacket and leaving the shop with the man. The couple then heads to The Dubai Mall. The police video showed footages from the mall showing the couple enter restrooms. They can be seen coming out wearing a different set of clothes. They then head to the Dubai International Airport and fly out. According to the police, the store owner discovered the theft after three hours. He immediately checked the surveillance cameras and alerted the police. Colonel Adel Al Joker, director of the Criminal Investigation Department, said the three-hour delay in discovering and reporting the theft helped the suspects escape. 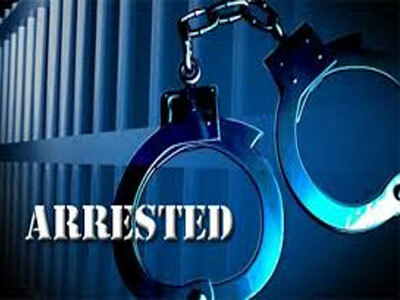 The police relayed the details of the suspects and their flight information to the Indian authorities via the Interpol. The couple was arrested and sent back to Dubai in the next available flight. Col Al Joker said the suspects confessed to stealing the diamond. An X-ray scan showed the diamond in the woman’s gut. A specialist doctor was called in to administer a solution to retrieve the diamond. Major-General Abdullah Khalifa Al Marri, Commander-in-Chief of the Dubai Police, praised the force’s coordination with its international counterparts that helped bring the suspects to stand trial despite having fled the UAE.